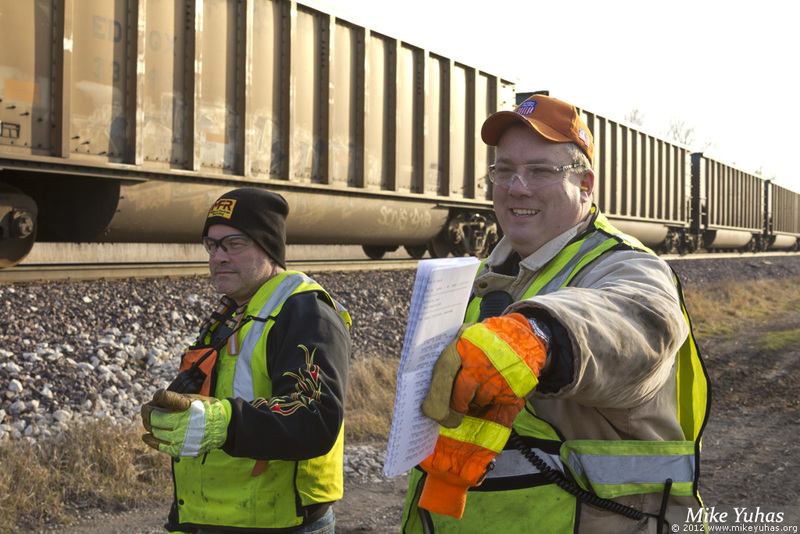 Conductors Dave and Corey count off half the CBTSH Sheboygan train. They will secure the second half on the main. After they take the first bunch of cars to the power plant for spotting, they'll return for the second bunch.